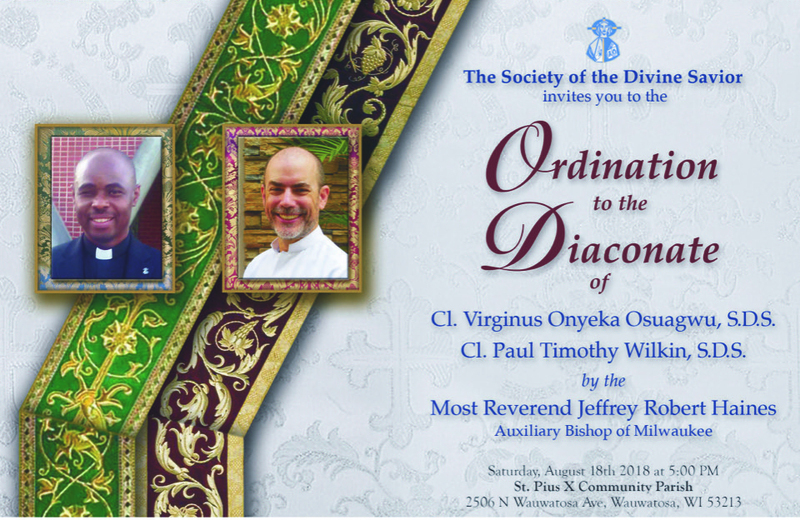 I joyfully invite you to my Final Vows with the Society of the Divine Savior on August 15th and to my Diaconate Ordination on August 18th, 2018 in Milwaukee, WI. Virginus Osuagwu and I joined the Salvatorians at the same time, and now will profess and be ordained at the same time. It has been 5 years since I entered religious life with the U.S. 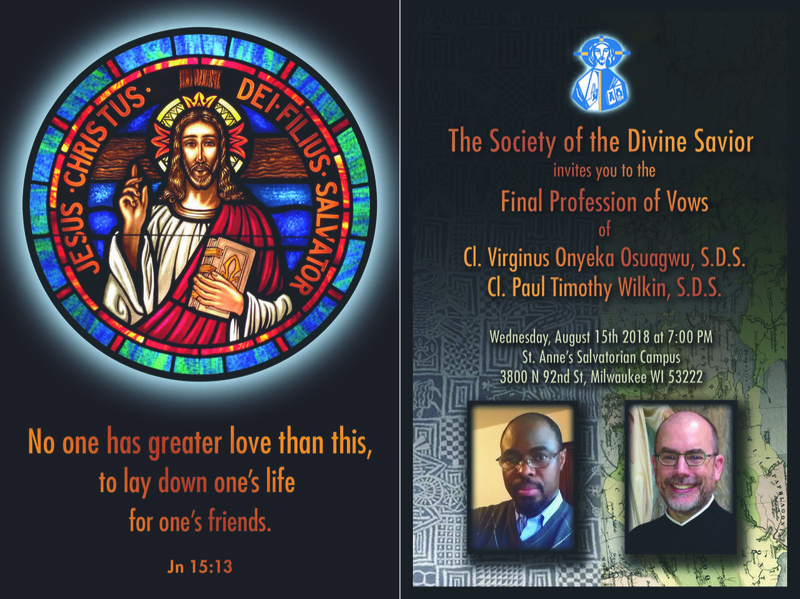 Province of the Society of the Divine Savior (Salvatorians) here in Milwaukee, WI. Canidatture, Novitiate and three years of Temporary Professions are behind me. I continue Theological Studies at the Seminary. I am now entering into my Final Profession of Vows with the Salvatorians on August 15th, 2018. 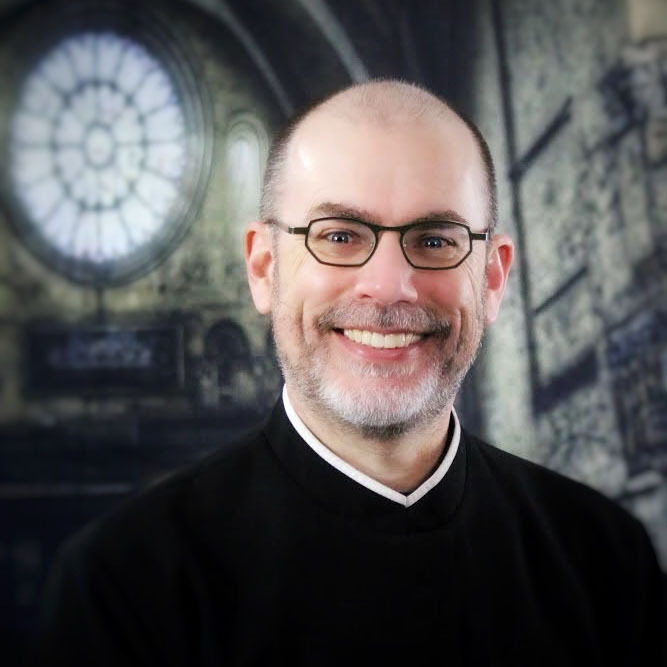 Having made Deacon Promises earlier this year, I have been approved by the Salvatorians and the Auxiliary Bishop of Milwaukee to be ordained a Transitional Deacon on Saturday, August, 18th, 2018. Since your probably wondering, Ordination to the Sacred Order of Presbyters (Priesthood) usually follows in six months to a year. If you can not make it but would like to see the ceremonies, we plan to broadcast both through Facebook Live. You will need to “Like” us on Facebook, Society the Divine Savior - The Salvatorians, then you will be notified of the live broadcast in Central Standard Time (CST). If your not on Facebook, then there will be some photos on the Salvatorian website soon after. You can also email me for a link to even more.